Following a competition run in partnership with the Royal Institute of British Architects (RIBA), Suffolk County Council (SCC) has announced that Foster + Partners has been selected as the architectural team to join the Upper Orwell Crossings project. The crossings will be the second project Foster + Partners has undertaken in the Town, following the construction of the architecturally significant Willis Building. The Panel selected Foster + Partners from a strong shortlist of five internationally renowned teams. Foster + Partners impressed the panel by the quality of their overall approach and thinking, including the initial design concepts presented for the Project’s three crossings. 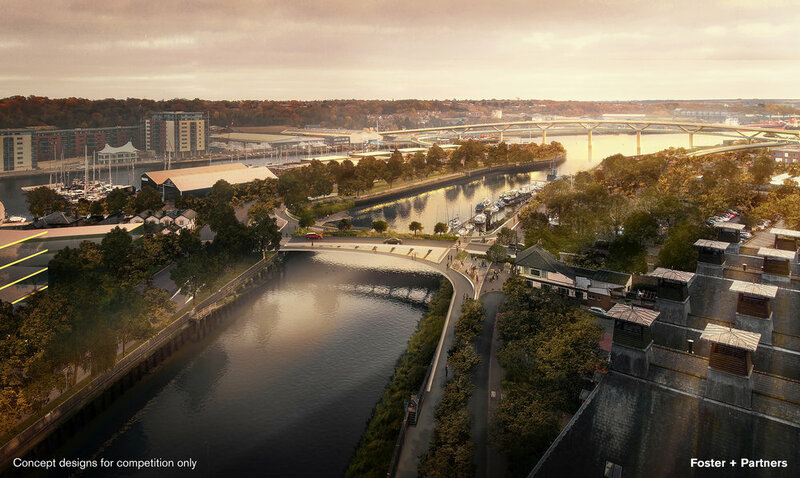 The approaches were considered to have the potential to enhance Ipswich’s thriving Waterfront, as well as acting as a catalyst for regeneration of the wider harbour area. SCC along with key partners, including Ipswich Borough Council and Ipswich Vision, keenly anticipate seeing the initial design ideas developed further with the wider project team and in consultation with local businesses, communities and residents.